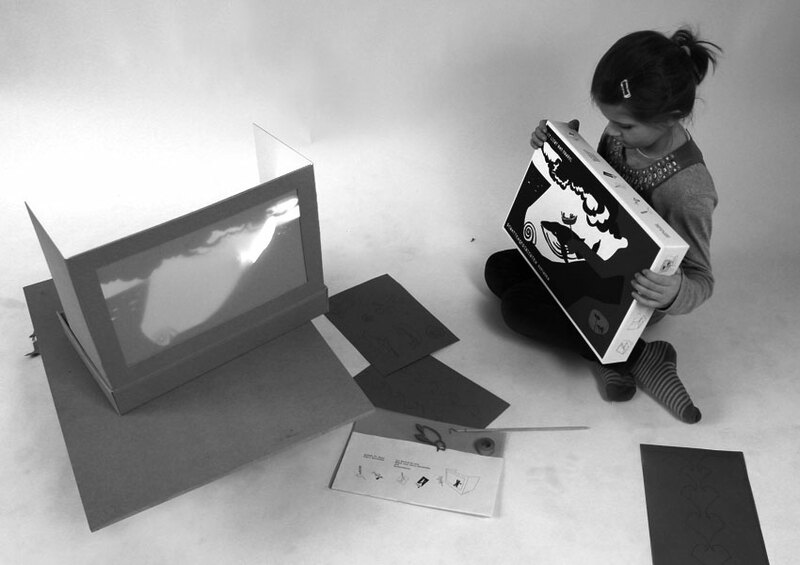 Storytelling through pictures. 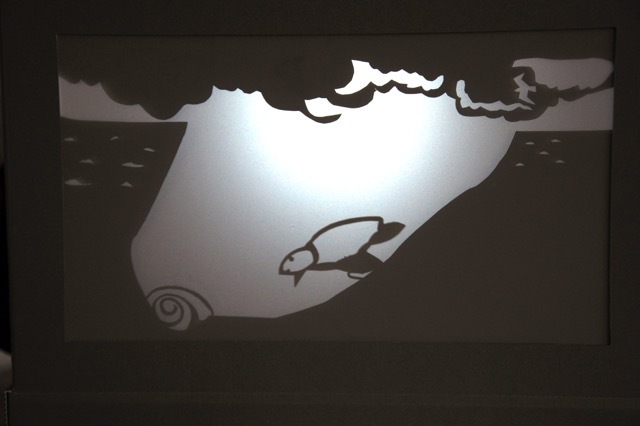 This design stimulates storytelling and theatre in a pocket version. 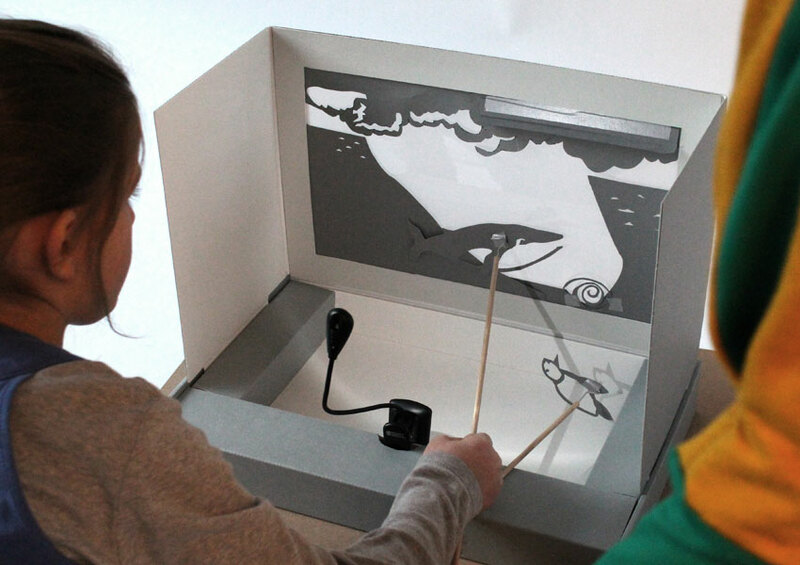 This mobile shadow play has a foldable stage, a light source and is ready for action. It also contains inspirational cut-out sheets for new characters and beginnings of stories that have to be continued. 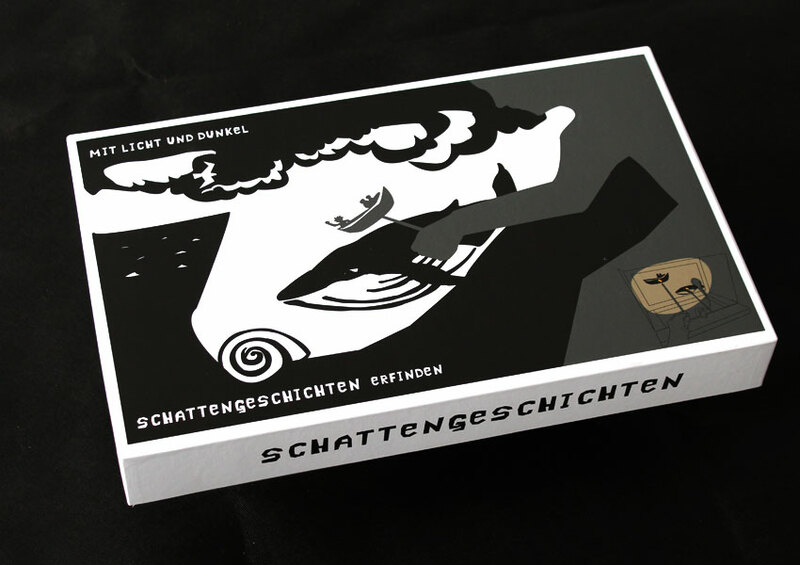 The play comes in a cardboard box.